In science, our class was learning about light. We specifically learned that objects can be translucent, transparent, or opaque. Translucent is a science term that means only some light can pass through an object. For example, this blue plastic T lets some of the light pass through it, so it is translucent. Another term we learned is transparent. If an object is transparent, all the light can pass through it. The cylinder above is transparent. I can see Pelly the Pelican inside the object. If you have a window at your house, notice that it is transparent. If NO light passes through an object then it is opaque. Opaque objects create a shadow. Your body is opaque. No light will pass through it. Shadow puppets are a fun way to show an opaque object. One shadow puppet you can make with your body is a bird. First, go outside on a sunny day. Make an X with your arms, hook your thumbs, and spread your wings. See the opaque bird that you made with your hands? Here are some other shadow puppet animals you can make. Now you know about lovely light! We finally published the post! It looks great! I love how you gave an example of the shadow puppet and also gave a picture of the directions. I also liked that you provided pictures on translucent, opaque, and transparent items. Good work! How do you like the jpg I found with the sample shadow puppets? 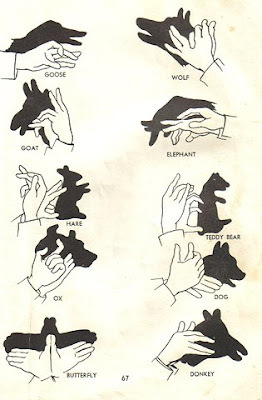 I thought it would be useful for anyone who wanted to learn more shadow puppets. Thanks for a great learning post! This was a great demonstration on light. I loved your examples. What an outstanding lesson on the differences of how light interacts with objects. Now I understand the difference between translucent and transparent. Also the example you gave for opaque was interesting and fun to try myself. Now I can entertain my family with shadow puppets! (Especially my granddaughter). I loved how you made the shadow puppets. That bird look so real. Keep up the good work. That post was so interesting! I learned a lot!